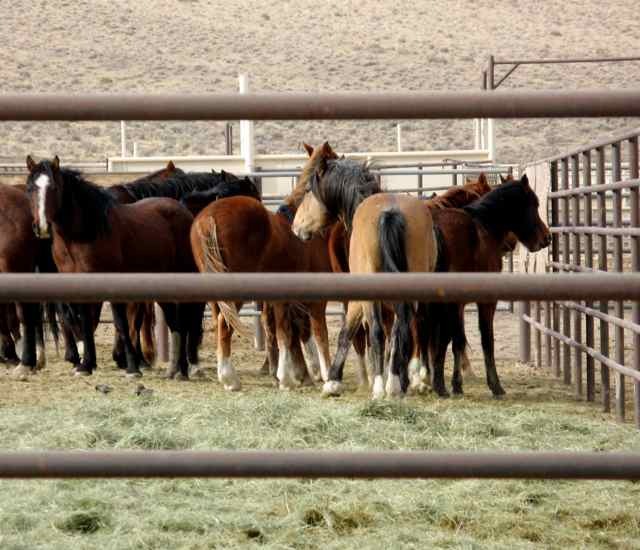 Anne Novak, executive director of the California-based Protect Mustangs, said she and other wild horse advocates oppose castrating stallions as a method of birth control. She said the use of birth control drugs “is definitely something to look at,” but said the BLM’s wild horse policy is fatally flawed because the agency has no accurate count of wild horses on the range. She said the BLM’s estimates are inflated and result in taking so many wild horses off the range that genetically viable herds will vanish. The disagreement between the BLM and horse advocates, she said, is whether the animals are overpopulating the range or facing extinction because of the agency’s frequent roundups. This entry was posted in Uncategorized and tagged animal welfare, Anne Novak, Congress, Election 2012, Mustang, Nevada, roundup, Taxpayer, wild horses by Protect Mustangs. Bookmark the permalink.